Sunday December 9, 2018-Director of Criminal Investigations (DCI), George Kinoti, has warned politicians who have started politicising the ongoing war against corruption. Already a number of Kalenjins leaders led by Nandi Senator, Samson Cherargei and Aldai MP, Cornelius Serem had claimed that the ongoiing corruption purge is targeting members of the Kalenjin community. But addressing journalists on Friday, Kinoti said the war on corruption will continue despite noise from Kalenjin community noisemakers. "There is nobody who is going to stop this; and we will go the whole hog. 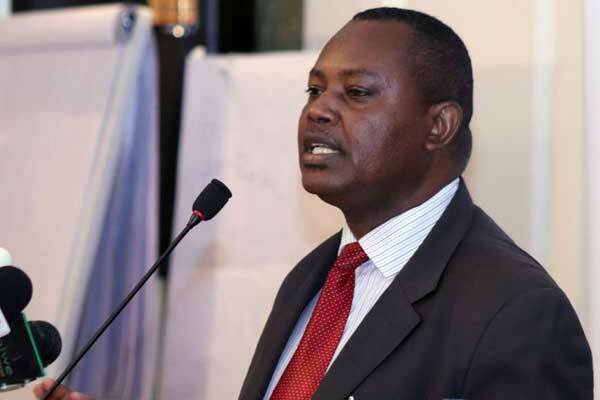 In a year, I promise you, this is going to be a different country,” Kinoti said urging Kenyans to expect more arrest of state officers who engages in corruption. go for your tribe mates who rich with billions of loots stashed in mt Kenya region since independence to date. Then we can say you are working. Until then its all pr on selective targets.